Imagine surgeons having the capability to determine which surgery is best for their patients and the ability to predict the outcomes. Another benefit for SRC-accredited bariatric surgeons is SMART Bariatric™. SMART Bariatric is an intuitive software tool for bariatric surgeons and their patients. Demographic, physiologic and other medical information from BOLD are used by SMART Bariatric models to predict outcomes pre-surgery for these common bariatric procedures: open or laparoscopic gastric bypass, adjustable gastric banding, sleeve gastrectomy and bilio-pancreatic diversion/duodenal switch1. SMART Bariatric calculates a weight loss treatment recommendation that guides the surgeon and advises the patient. 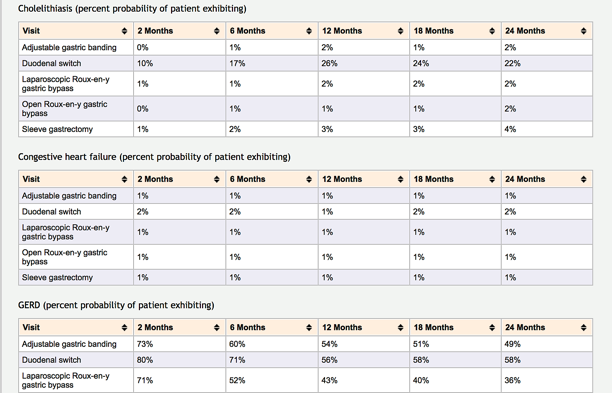 Predictive results for individual patients provide advance information regarding how similar patients fared following the five most common bariatric procedures. Such information may be useful in improving outcomes and reducing healthcare costs. 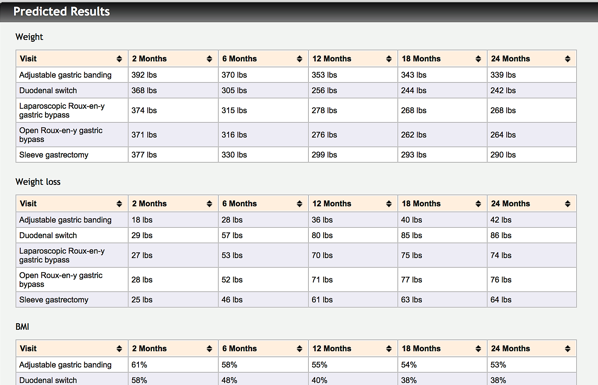 Most importantly, outcomes predictions from an objective source can play a major role in weight loss surgery decisions. SMART Bariatric is a useful tool for bariatric surgery information sessions/seminars, answering office questions and in pre-operative counseling. SMART Bariatric was developed by the SMART Corporation as a component piece for BOLD. BOLD users may use SMART Bariatric in their own practice. 1Slotman G. Prospectively Validated Pre-Operative Prediction of Weight and Co-Morbidity Resolution in Individual Patients Comparing Five Bariatric Operations. Surg Obes Relat Dis 2017;13 (9):1590-1597.